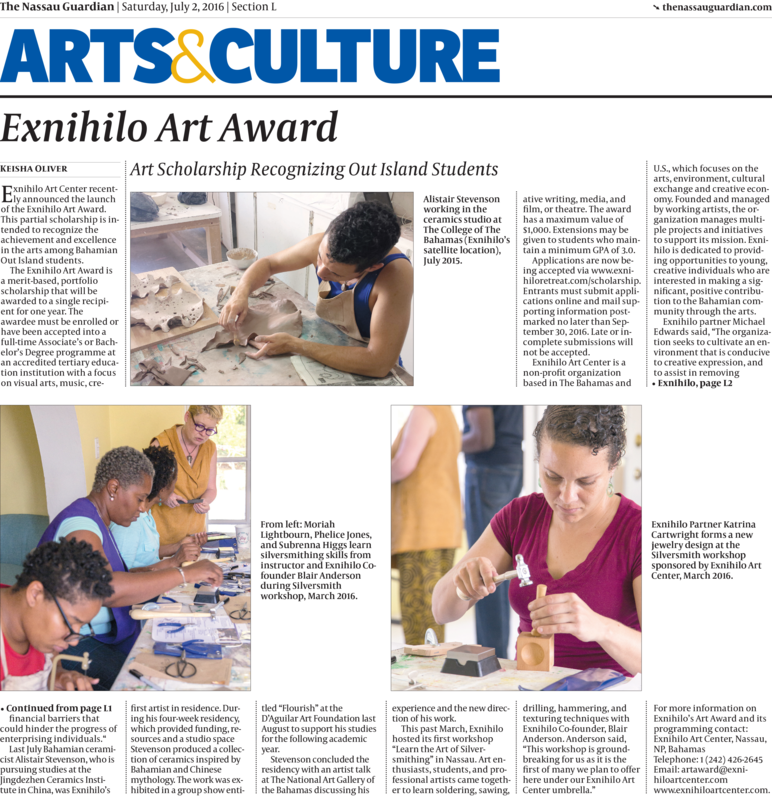 Exnihilo has been busy the past few months, as was covered on July 2, 2016 in The Guardian (Nassau). Click the image for a larger version of the article. Exnihilo will be hosting its first international workshop in The Bahamas on March 19, & 20, 2016. 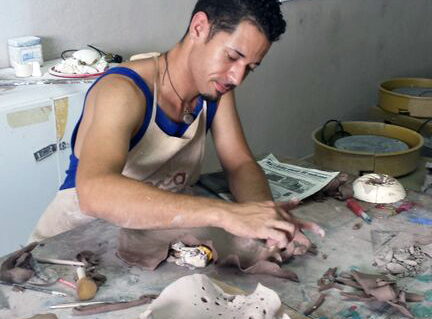 These workshops will help to engage the local community, raise awareness of Exnihilo and its offerings, and work to gain traction for the larger vision of establishing an international artist residency program. Read more from The Gaurdian. 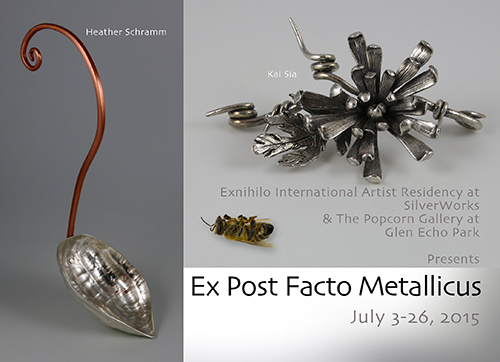 Exnihilo International Artist Residency is pleased to present Ex Post Facto Metallicus a unique collection of works from 4 metal artists from 4 different life stages, Robert Dane Shaw, Anya Pinchuk, Heather Schramm, and Kai Sia. “This collection of work is about reflection of one’s past, time capsuled in metal,” says Blair Anderson, the collection’s curator. 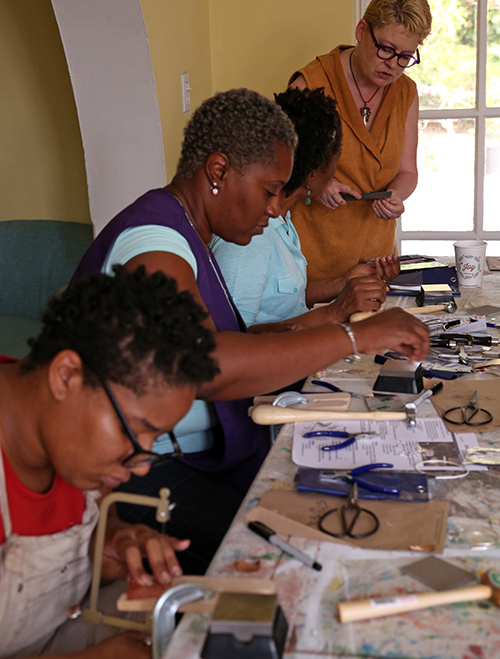 Along side the works of the four featured artists will be works by the faculty and students of SilverWorks Studio at Glen Echo Park. The exhibition will be housed in the Popcorn Gallery, with an opening reception to be held Friday, July 3 from 6 to 8 p.m. Guests at the reception can meet the artists, enjoy a glass of champagne, and be inspired by the one-of-a-kind wearable art, sculpture and vessels.